SoundDrum- a blast of music sound from a compact powerhouse of sound. 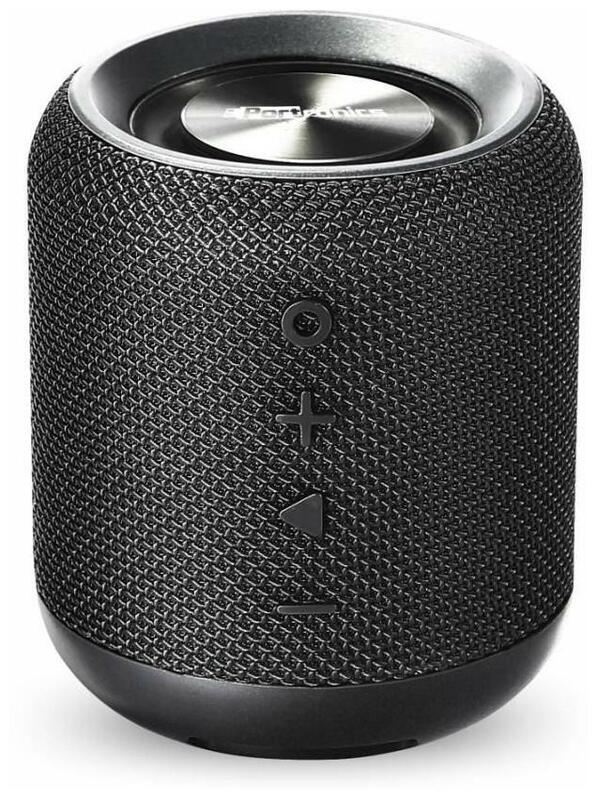 It's a re-chargeable Bluetooth 4.2 Speaker with FM and other multiple connectivity options. Get the best music treat of your favourite numbers or enjoy a thriller on your smartphone, tab, laptop or computer, with Portronics SoundDrum using Bluetooth 4.2 or Aux cable. Don't worry even if your favourite music is in a non-bluetooth device like mp3 player or PC, simply use 3.5 mm Aux port or a pen drive. Listen to your FM radio programs, be it early the morning bhajans or late night romantic songs using its powerful FM tuner with inbuilt antenna. Portronics SoundDrum also gives you great convenience of hands-free phone calls. With in-built mic and speakerphone facility so you can take/reject/end calls coming to your smartphone. You can end or deny calls very easily and continue with your favourite songs without missing a note. The powerful industry-leading size of 1800mAh lithium Ion battery can play music for more than 7 hours on a single recharge. The battery can be recharged in just around 1-2 hours. Solid and stable drum shape in black colour goes well with stylish metallic grille, gives SoundDrum a very classy appeal. Breeze pack a great punch at solid 330 grams. It has International Protection rating IPx6 which means water resistantand dust tight body which allows you to enjoy music both wire-less and worry-less, even in dusty conditions and moist conditions.It is protected against splashing and light rain but not when immersed in water.The compact size allows you to carry it easily with you wherever you go.